The great mystery writer Agatha Christie didn’t exactly use jewelry as part of the plot in Murder on the Orient Express, but she did use it as a clue to character. When I went to see the newly released film based on her book, I was like one of the passengers on the train, surprised at every suspenseful turn. I had never watched the 1974 movie based on the novel or read the thriller itself. So, I slowly came to learn about her subtle ways with jewels. 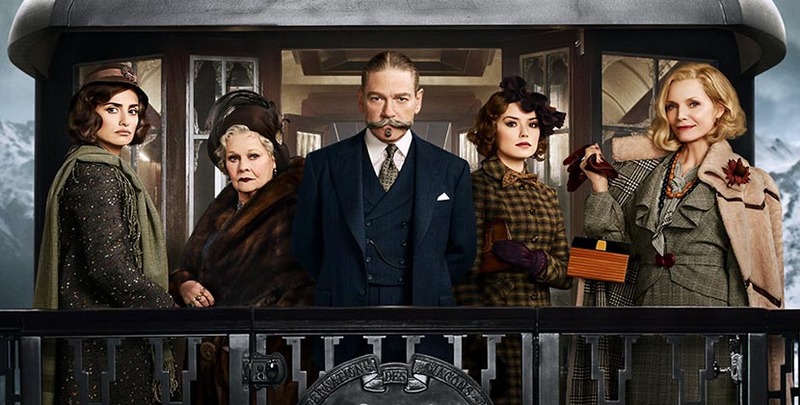 The cinematically stunning production, which was directed by and stars Kenneth Branagh as the legendary detective Hercule Poirot, unfolds on a train ride from Istanbul to London during the glamorous age of travel in the 1930s. 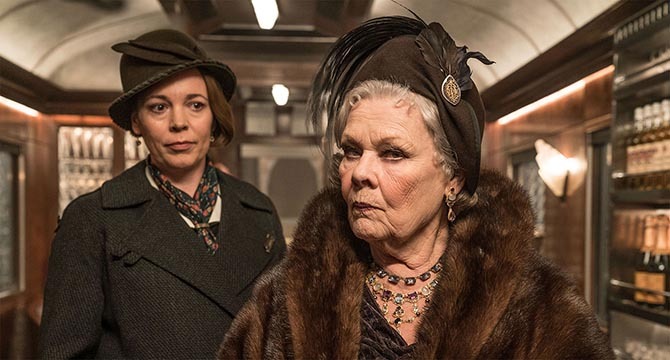 As each of the main characters boards the Orient Express and the journey begins, we get a sense of their identities through their attitudes and attire. 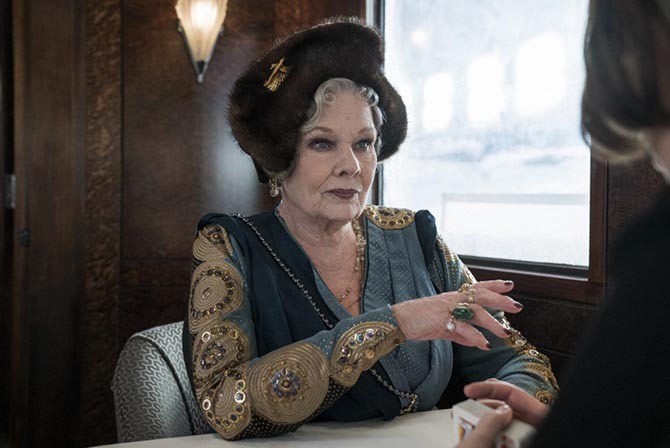 Oscar winning costume designer Alexandra Byrne, known for her work on Phantom of the Opera, Elizabeth and several Marvel blockbusters, brought her magic to the movie. Almost all of the costumes were created using vintage fabrics. The majority of the accessories and jewelry were vintage pieces Alexandra and her team sourced at flea markets. A few items of jewelry were made by designers Alexandra commissioned. Michelle Pfeiffer is almost as decked out as Dench in her role as Caroline Hubbard, the flirtatious socialite and loud mouthed American busy body. Her layers of jewels are just a bit lighter than the princesses. She wears rings on a few fingers and layers a couple of bracelets. Comparatively it is a little less jewelry but in the scheme of things it is quite a bit. 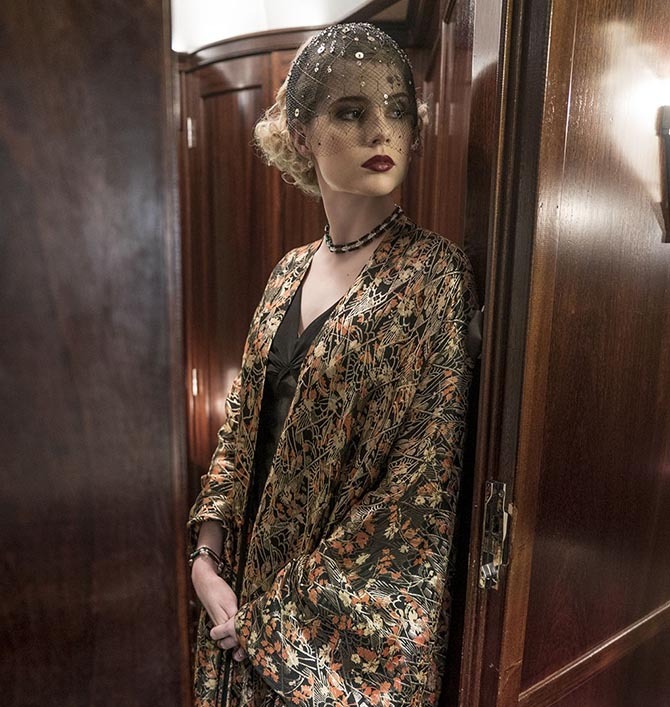 The other royal aboard the train is Countess Elena Andrenyis (Lucy Boynton) who makes her appearances mainly at night. Her evening arrivals in the production are sometimes met with attire that looks as though she glamorously snoozed all day long and didn’t really bother to change. She does however wear jewels, delicate pieces like chokers and bracelets. 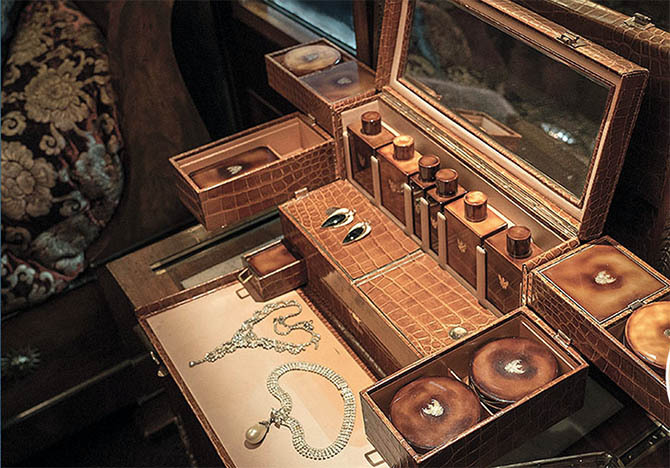 If all of this jewelry is bringing you to the conclusion that you would like to add some Orient Express style pieces to your collection, well, the filmmakers have anticipated your desire like Hercule Poirot identifies his clues. There are any number of collaboration collections connected to the production. 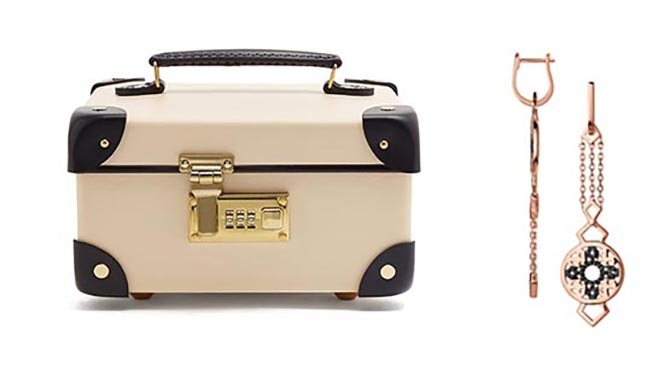 A couple of the most enticing are the Globe-Trotter x Murder on the Orient Express jewelry box and the Links of London bohemian style drop earrings. I, for one, feel like ordering the jewels and putting them on for a seconding screening of Murder on the Orient Express. I want to watch again for more of the subtle jewelry clues.